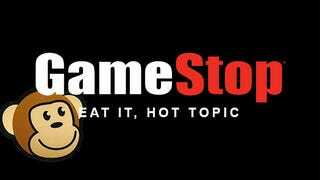 In the face of a purchase agreement from GameStop Corp. valued at $140 million, ThinkGeek parent company Geeknet terminated the $122 million deal with Hot Topic it announced last week. GameStop Corp. (NYSE: GME), a family of specialty retail brands that makes the most popular technologies affordable and simple, and Geeknet, Inc. (Nasdaq: GKNT) (“Geeknet”), the parent company of ThinkGeek and ThinkGeek Solutions, today announced they have entered into a definitive agreement under which GameStop will acquire all of the outstanding shares of Geeknet’s common stock for $20.00 per share in cash. The transaction has been approved by the board of directors of both companies and will be completed by means of a tender offer. The transaction has a total equity value of approximately $140 million, including $37 million of cash and cash equivalents as of March 31, 2015. Hopefully this means we’ll soon be able to trade in Star Wars ice cube trays for store credit.